1st off this isn't regular traveller type accommodation. 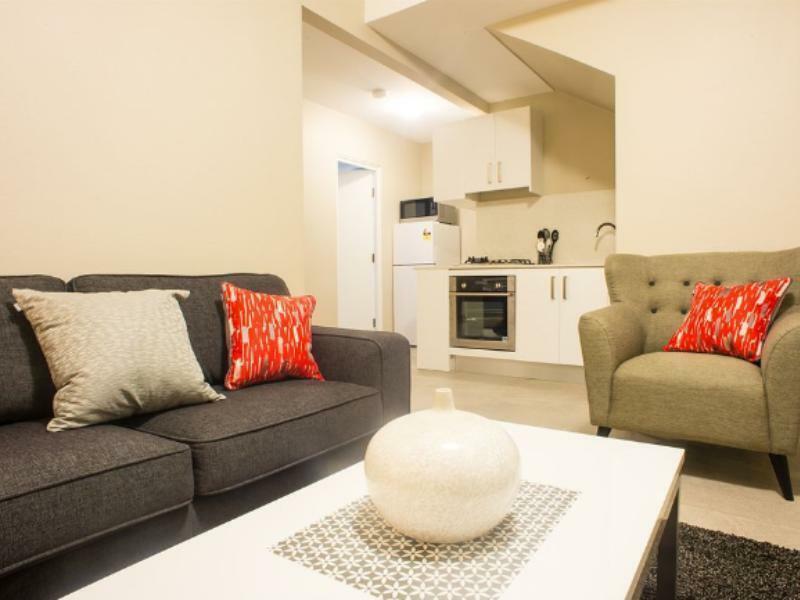 It's more like a residential unit block that is being used for short term accommodation. So there's no reception or staff on the premises. You have to ring the proprietor upon arrival to get the security code to get inside. But there's nothing telling you that either at the premises or when you book. That should be made clearer. Also be warned that the building is on a busy highway & under the flight path. But having said that, my room wasn't as noisy as I had feared. Maybe those at the front of the building are worse? The room itself was clean & otherwise more than OK. The shower was excellent. But a bit overpriced given the issues detailed above. I was poorly treated by the owner on arrival when informed him about gas system not working . He was shouting over the phone that made me feel intimidated.. There were open sachets of tea and sugar ... Not enough cutlery.. The hotel is only 2.8km from airport, friendly and helpful staff, nice interior! From the moment I called Hussain and his cleaner were fantastic, we were in dire need of an early check in with my 1 yr old and suitcases while my partner took the rental car back. Called Hussain who had already organised our room hours before check in and set us up with the codes, he thoughtfully set us up with a spare mattress for my baby (they explicitly state they do not provide cots/portacots) and gave us a ground floor room which was also a blessing! The lady that cleans the units checked to see if we needed anything and organised Hussain to take us to the airport at 630 in the morning! He was there early and even procured a car seat for my child. It was a 2.8km drive to the airport that took 10-15 and would have cost us $25 in a taxi (I checked all of this out before booking) to which we would have been stressing wouldn't be on time! These owners went above and beyond what they had to for us and we are super grateful! I don't know what it is with some of the negative feedback on here but honestly they are the most affordable and pleasant little units! And 2.8km is very close to the airport!!!! Yes we could hear the people upstairs, but you'd get that just about anywhere! It's on the highway so of course there was traffic noise... My only complaint is that the rooms aren't very dark due to the lighting outside but we had that at our other accomodations too so it didn't bother us too much. Looking at it from the outside its not much but inside is modern, practical and easy to access! It's a 3 min walk to the train station and kfc is on the next corner, there are also other local restaurants that deliver :) They made our long long journey so easy, uncomplicated and stress free!!! So appreciative! I hope your stay is as lovely as ours was! 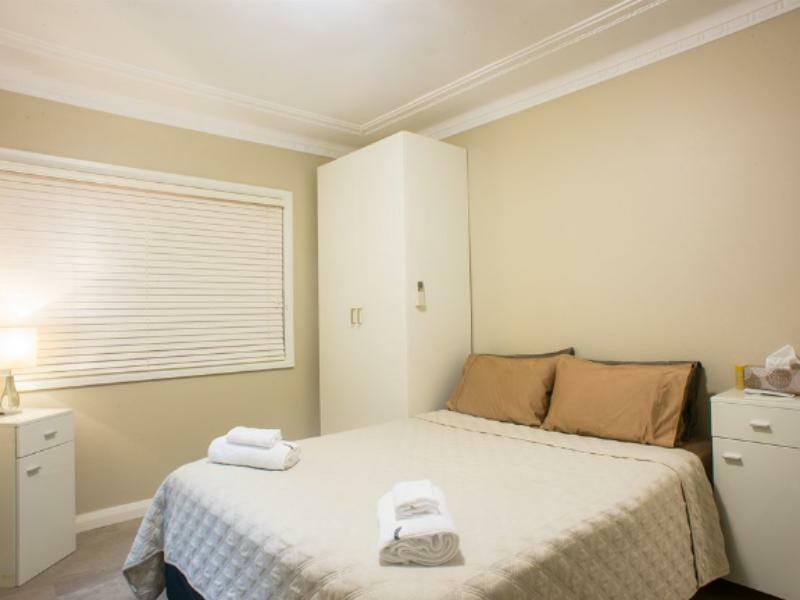 As far as affordable accomodation in Sydney goes this one blew it out of the ball park! Hussain if you read this, thank you both so much for everything! This is a 2 story brick home converted . Not an apartment like the norm and NOT AT AIRPORT. Its a $25 taxi ride away. Inside rooms are neat enough but stairs make it difficult for luggage. No receiption, all door were locked. go to the adress indicated by them and try to find somebody , still no body. Stood at toad side for half an hour, no body came back. When we arrived at the apartment, there was a note on the door to ring a mobile number. I rang this number and it went to message bank. In fact, I rang the number 4 times over the next 40 minutes or so. Each time, the call went to a message bank. I was left stranded outside the apartment and couldn't get in. Eventually, someone rang back. They were very rude. They did send the code for the outside door and the room. However, the code didn't work initially. 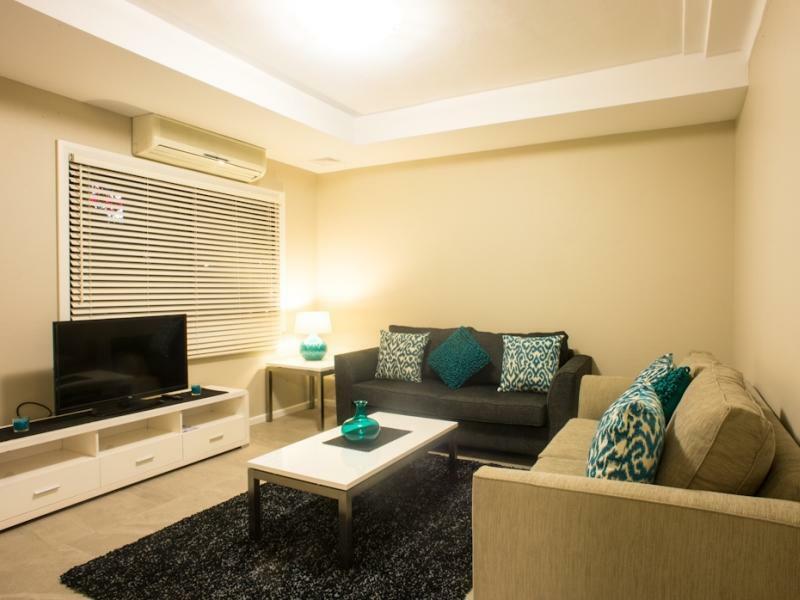 The area is very noisy and I note that it markets itself as a pan airport apartment, but it is a relatively long way from the airport and I think that there are a lot better options for travellers than these apartment. Apartment was really nice but the main road was noisy with traffic, good for a short stay to rest up. Stayed 4 nights and everything was good except on the 1st night it was a bit noisy as other guests kept opening and closing their doors continually. Staff friendly and helpful. Location was good for me, a few minutes walk to xport etc.